Cyber-physical systems involve interactions between computer-controlled and actuator-enabled components, whose dynamics have thus far been modeled, designed, and analyzed separately, but now need to be investigated and taught jointly. They control much of the world's critical infrastructure: power generation, telecommunications, water supply, and control systems. Because of their critical nature, known, predictable, and secure behavior of cyber-physical systems is necessary to ensure the safety of the people whom these systems serve. Yet most cyber-physical systems provide limited operational guarantee outside of nominal conditions. Safely and securely combining physical and digital systems design and analysis into a unified discipline is not a simple task. Solving the safety and security deficiencies in next generation cyber-physical system will require contributions from every branch of engineering, from governments, and from industrial partners. It is necessary that we establish an engaged, multi-disciplinary cyber-physical security community committed to developing unified foundations, principles, and technologies. 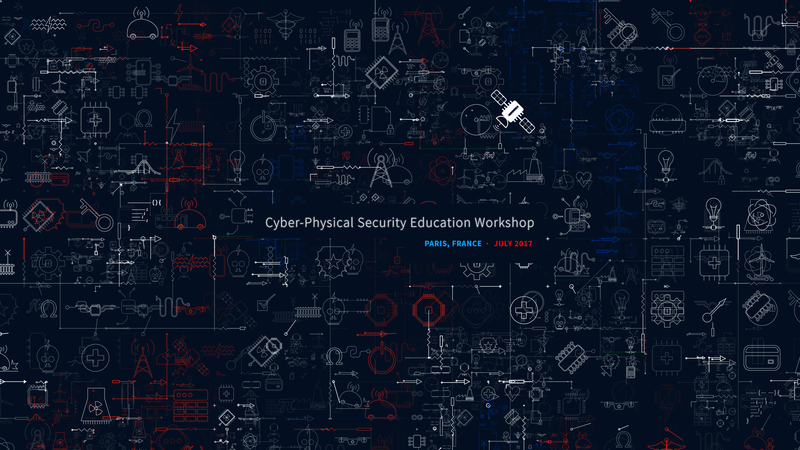 The Cyber-Physical Security Education Workshop aims to bring researchers, engineers and teachers into a common forum of exchange in order to achieve these goals.